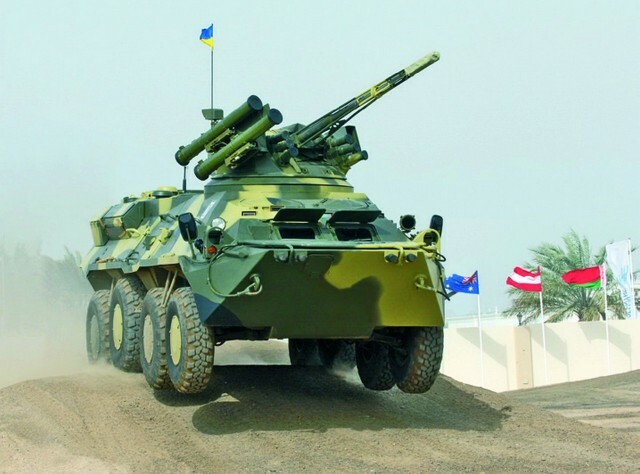 State Concern “Ukroboronprom” website published the information that Ukraine and Thailand may begin a joint production of modern Ukrainian armored vehicles. Namely, the BTR-3E1 (Armored personnel carriers – APCs-3Е1) that SC “Ukroboronprom” produces today and which was developed by Kharkiv Morozov Design Bureau. The Thailand Defence Minister, Prawit Wongsuwan, and the Ukrainian Ministry of Defence head, Stepan Poltorak, discussed prospects of co-production during the event “Defense & Security 2015” in Bangkok. The show represents all three military areas – Land, Sea and Air, plus a world-class Security Section. “Prawit Wongsuwan, the Thailand Minister of Defence, personally recognized the high quality of BTR-3E1 armored personnel carriers. He added that the co-production of this machinery will significantly deepen the military cooperation between the two countries,” – states the website. Reference. “Defense & Security-2015” is one of the largest exhibitions of the defense industry in the Asian region, held under the patronage of the Ministry of Defence and the Royal Thai Armed Forces.